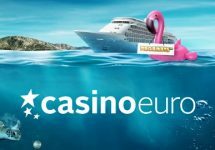 Casino Euro – The Milan VIP Box Experience! Play for your VIP tickets! Win one of 12 exclusive trips to Milan, merch, bonus prizes and Free Spins! As one of the main sponsors of AC Milan, Casino Euro has teamed up with Play’n GO to give twelve players and fans the chance to win an exclusive trip to Italy for a VIP live experience at the San Siro Stadium, plus lots of runners-up prizes for merchandise, bonuses and Free Spins. Spin actively on a selection of Play’n GO slots and you could randomly trigger a prize on any spin. 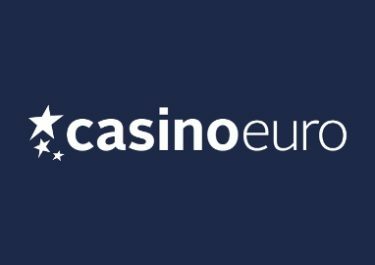 Take part in two thrilling 1-week long prize drops at Casino Euro and you could win an exclusive Milan trip for two from 18th – 21st May 2018 including a Live VIP experience in the stadium. Spin on a selection of Play’n GO slots with minimum €0.20 bets to randomly trigger a prize drop for the trips, merchandise, bonuses and Free Spins. 6x VIP Box Experience for two for AC Milan vs. Fiorentina on 20th May 2018, including flights from Europe, 3 nights hotel, prematch walk on the pitch and visit to the locker room. 20x signed footballs, 100x €25 Bonus, 100x 20 Free Spins on Book of Dead. The winners of the VIP packages will have 72 hours to confirm. Failure to do that will forfeit the prize which will be then raffled off at the end of the promotion. A cash alternative is not available for the VIP packages and merchandise. 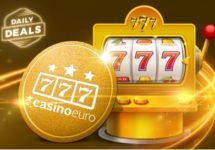 Bonuses and Free Spins will be credited within 72 hours. 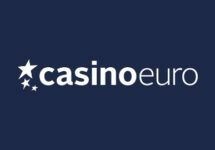 Wagering requirements are 10x bonus amount and 15x FS winnings within five days, subject to the Casino Euro bonus terms and conditions.